Give A Gift That Feels Right At Home! 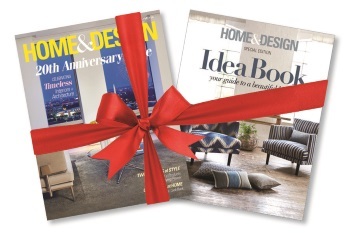 Your friends with stylish tastes will appreciate the year-round giving that a HOME&DESIGN gift subscription provides. Each issue takes them inside the finest homes in DC, Maryland and Virginia. Six bi-monthly issues plus a FREE bonus Sourcebook issue for just $19.95.